Christoffer's full name was Christoffer Christensen Orhuus. His name came from growing up on the Orhuus farm. His family lived on a small farm under the main Orhuus farm which was commonly written as Orhuus-ejet or eiet. Christoffer was the fifth of seven children born to Christen and Dorthe. 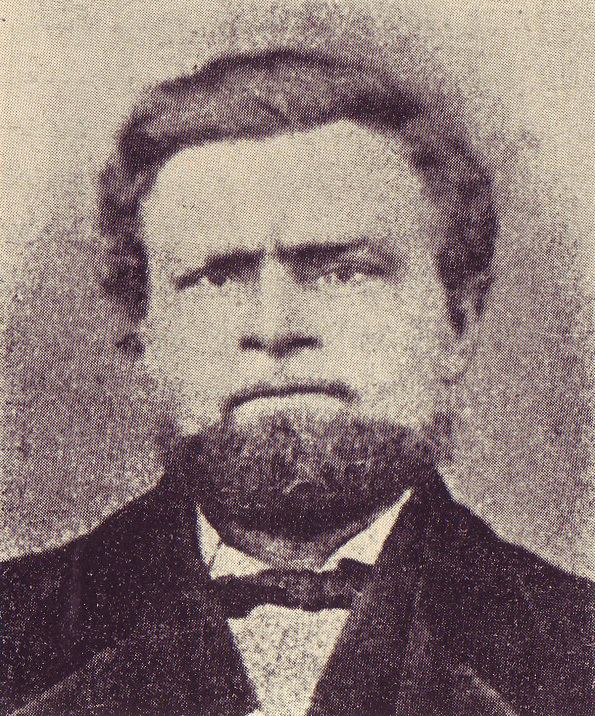 He had three half-sisters: Gurine, born in 1811, Ingeborg, 1814, and Olia, 1817; two sisters: Johanne, 1825, Karen Olava, 1833, and a younger brother John, born in 1830. We know for a fact that both Karen and John died in infancy. 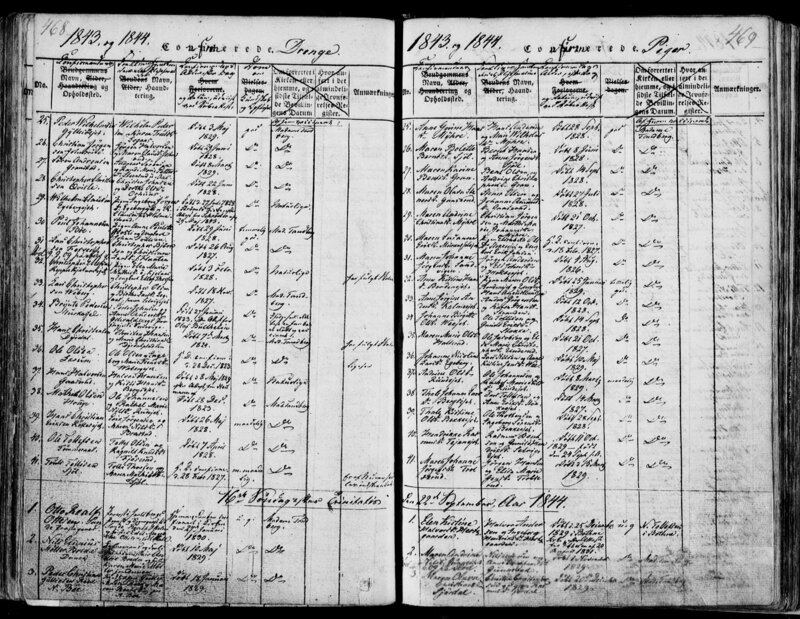 Confirmation Record for Christoffer (1843)At Orhuus farm on 09 Apr 1833, while Christoffer is just shy of 5 years old, his father Christen passed away.2 We have no records to point to what might have caused his father's death at 43 years old, but we assume it was related to disease. 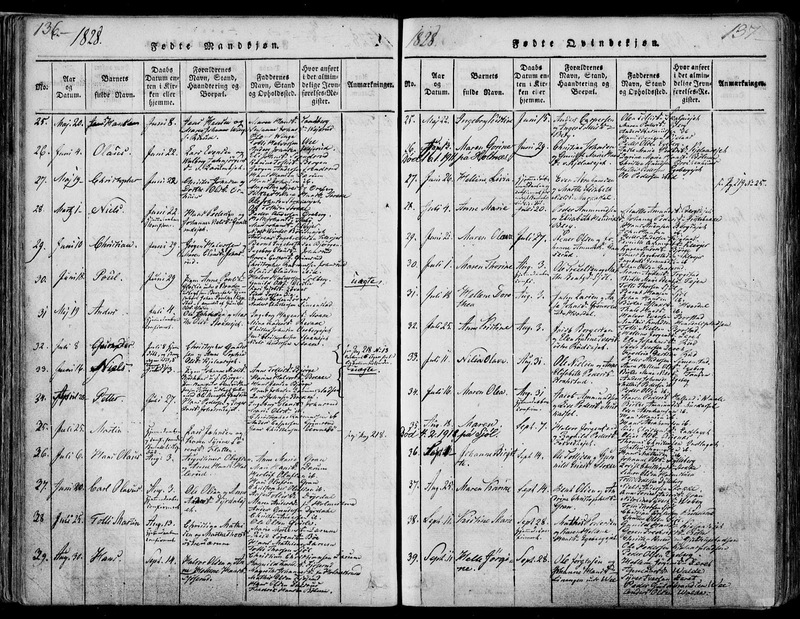 * After the death of Christoffer's father, his mother Dorthe remarried a man named Christen Jensen Orebsly on 28 Dec 1835.3 It's at this point that the family moved to the Kvisle farm, which Christen Jensen owned.4, A Considering that we find Christoffer, now 15, being raised on the Kvisle farm in Sande on his confirmation record on 01 Oct 1843, we assume Christoffer spent the rest of his childhood here at Kvisle. 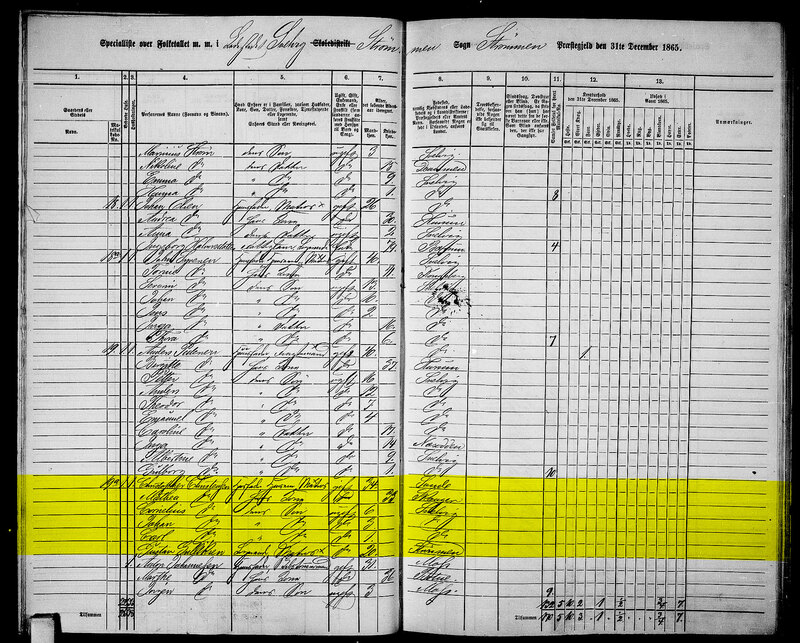 Christoffer's mother would die in 1851.5 At this point, Christoffer was most likely living on his own and working as a farmhand in Sande. The pay on the countryside for a farmhand was so poor that he just wound up working for clothes and other goods. With conditions as they were, there was nothing to keep Christoffer in Sande. So, he decided to move to the neighboring coastal village of Svelvik & Strommen and take up sailing instead. At this time (1853-1856) the Crimean War was creating a lot of shipping jobs, making living in the coastal shipping town more attractive than farm life. * At the time, the most likely cause of death for a healthy 43 year old man would have been an infectious disease. Epidemics like cholera, typhoid or smallpox were major issues in the early 1800's and would have been the most likely causes. Quarantine stations were built during cholera outbreaks and smallpox vaccinations began in 1810s with newborns and later became required before couples could be married. 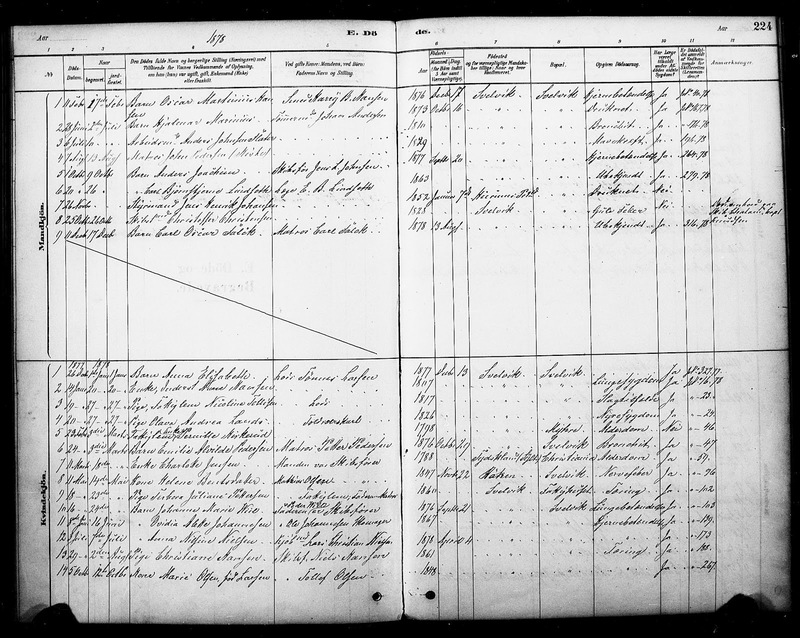 A Christen Jensen is listed as owning the "Qvisle" farm in Sande on the 1838 Land Register. Now known by Kvisle. 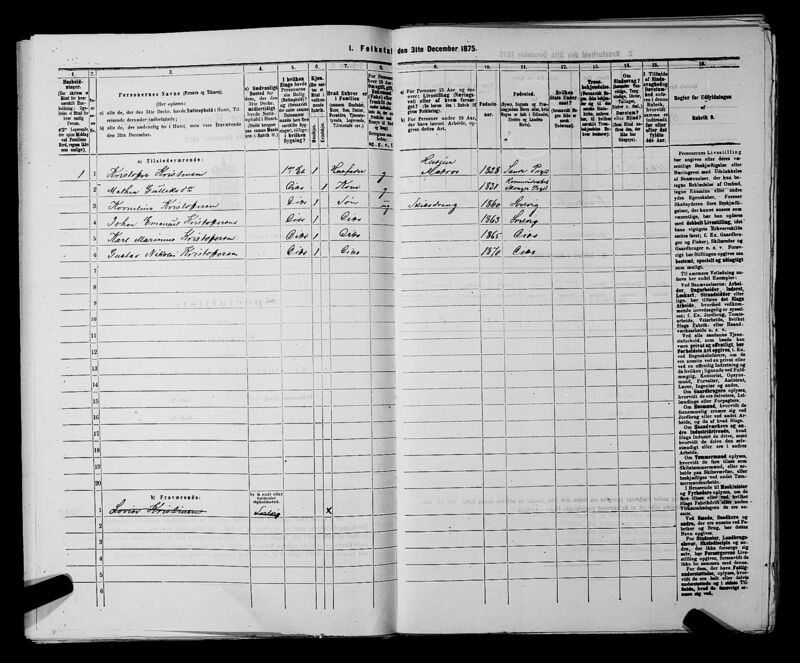 Number 107: «Christopher Christensen», born May 19 1828 in Sande; Address: Svelvik; Certificate date: April 6, 1860. Signed on March 13 1863 with shipmaster N. Poulsen on the ship «Neptun» from Svelvik to England. Signed off September 17, 1864 in Drammen. (Sjøinnrulleringen: Drammen innrulleringsdistrikt; Hovedrulle nr. 1 for Svelvik, fol. 54b-55a). Number 107: «Kristoffer Kristensen», born May 19 1828 in Sande. Address: Svelvik. Certificate date: January 14, 1869. Signed on March 11 1869 with the ship «Egidia» from Sarpsborg to Holland. Signed off December 17, 1869 in Sarpsborg. Signed on January 17 1870 with the ship “Ørenskjold” from Christiania to England. Signed off January 17, 1870 in Svelvik. Also mentioned Signed on January 17 1870 with the ship “Ørneskjold” from Christiania to Scotland. 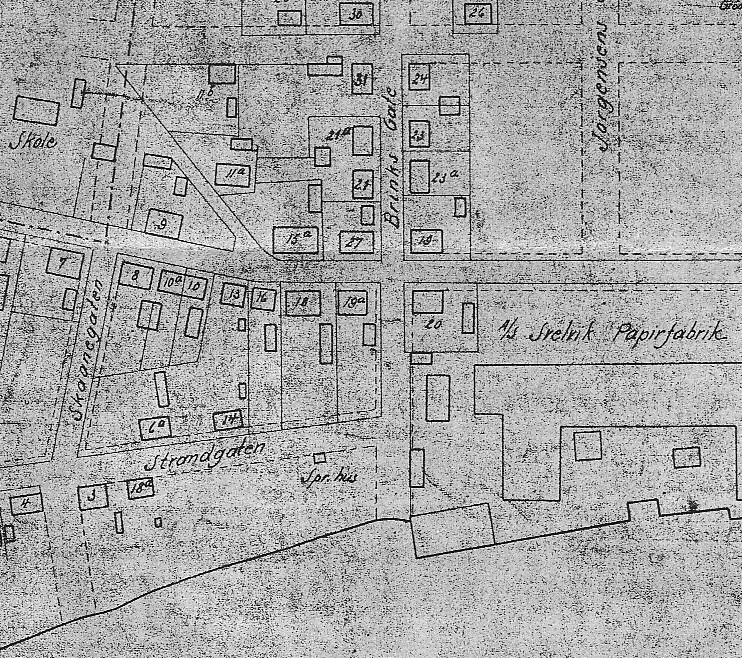 Signed off March 26, 1870 in Svelvik. Signed on May 10 1870 with the ship “Croesko” from Drammen to London. Signed off January 3, 1871 in Svelvik. Signed on March 25 1871 with the ship “Alpha” from Svelvik to Hartlepool. Signed off as ill on June 28, 1871 in Cronstadt. 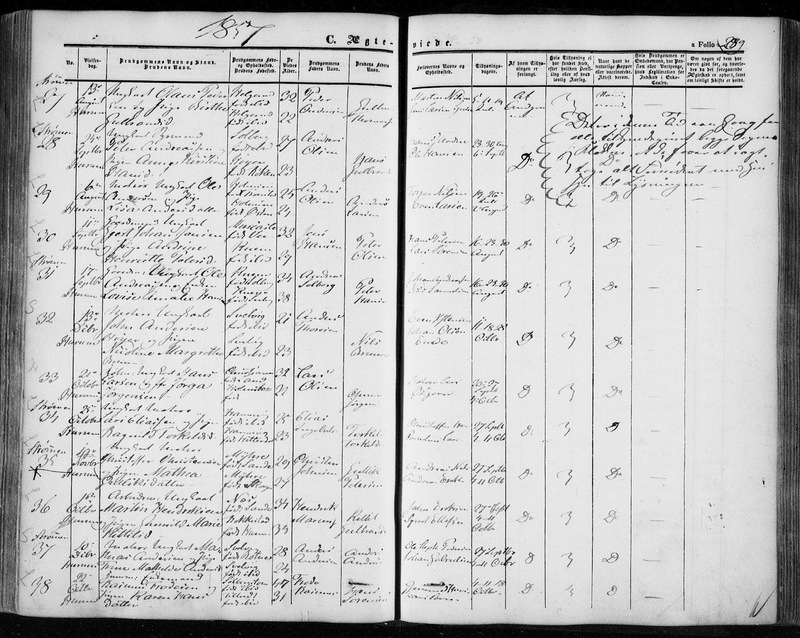 Signed on July 5 1871 with the ship “Minerva” from Cronstadt to Dundee. Signed off (not mentioned). Signed on September 19 1871 with the ship “Minerva” from Christiania to England. Signed off (not mentioned). 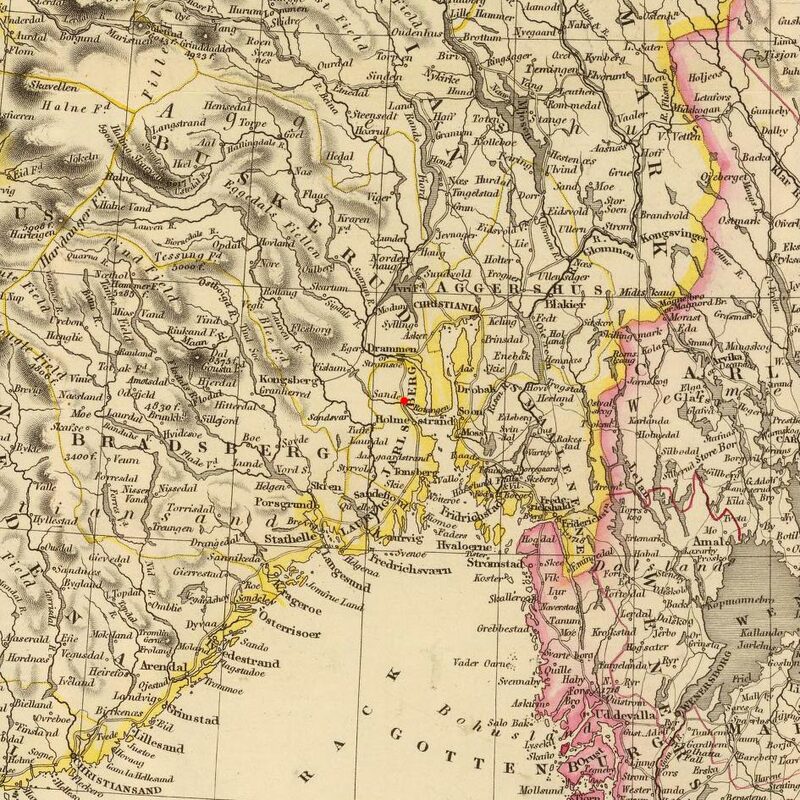 Signed on July 31 1873 with the ship “Normand” from Drammen to Scotland. Signed off September 18, 1873 in Christiania. Signed on October 2 1873 with the ship”Sophie” from Drammen to Scotland. Signed off December 24, 1873 in Christiania. Signed on March 14 1874 with the ship “Alma” from Christiania to Bologna. Signed off October 12, 1874 in Svelvik. Signed on May 14 1875 with the ship “Franses” from Drammen to Leith. Signed off July 12, 1875 in Drammen. Signed on September 3 1875 with the ship “Deodata” from Drammen to England. Signed off December 8, 1875 in Hamburg. Signed on March 16 1876 with the ship “Alma” from Christiania to Scotland. Signed off September 16, 1876 in Christiania. Signed on November 1 1876 with the ship “Chatam” from Svelvik abroad. 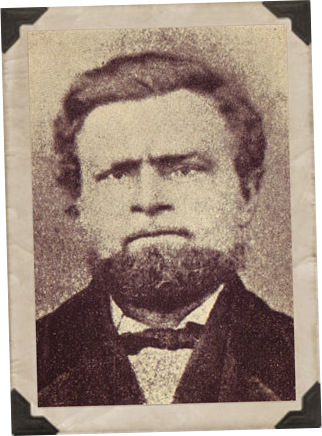 He fell overboard on August 25, 1878. He was mentioned as a mate, but it’s not clear if he was a mate during the entire span of this certificate. (Do., nr. 3, fol. 43b-44a). C While the family story of Christoffer's death contradicts the documented record in the sailor's roll, it doesn't mean they both aren't true. It's possible the sailor's roll just abbreviated his death from yellow fever by stating "he went overboard" as in was buried at sea. However, it's also possible that the Captain felt it more honorable to Christoffer's memory to tell his family he died of disease rather than he was lost overboard and we couldn't find him or he got careless and made a mistake and was swallowed by the sea. Either way, this information throws some question into the family story of Christoffer's death, but I felt it most important to highlight the family story which came directly from Christoffer's son Carl and his grandson Sigfred who, during his life, was Svelvik's historian and opened the town's museum. D Also noting the 3 month discrepancy in date of death: the parish priest says he dies October 25 and buried Oct 26, while the sailor's roll say August 25.
Who has the correct information on Christoffer's death: The parish priest or the sailor's roll?